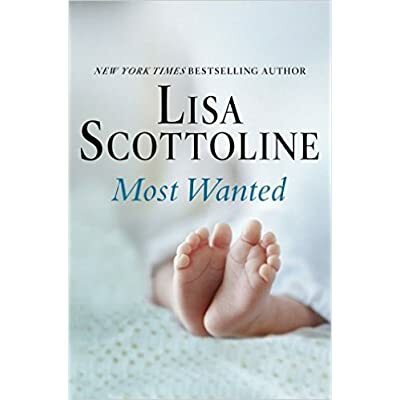 Lisa Scottoline is quickly becoming one of my go-to authors when I’m looking for something interesting and fun to read. Every Fifteen Minutes was one of my favorite books that I read in the spring and Most Wanted certainly lived up to my expectations. Not only was the story fast-paced and told quite well, but the novel also raised issues that have been discussed and debated for hundreds of years. Christine and Marcus have struggled to have a child since the earliest years of their marriage. Since Marcus’ health issues are discovered to be the problem, the pair decide to use an anonymous donor in their insemination procedure. Now that Christine is carrying a healthy child, the couple has become very excited for their new arrival. Christine’s happiness is marred in the blink of an eye. While attending a baby shower, she catches a glimpse of a man in a CNN news report that looks strangely familiar. The good looking blonde man has been arrested in connection with a series of murders of nurses in the area. Why does he look so familiar? Christine finally realizes that the serial killer bears a striking resemblance to the donor photograph that was provided by the sperm bank. Most Wanted follows Christine’s turmoil as she attempts to determine if the prisoner is truly the biological father of the child she is carrying. Are the serial killer’s violent tendencies something that will be passed genetically to her unborn child? Can she protect the baby from an uncertain future just by loving him? Will Christine and Marcus ever be able to see the baby as anything other than the child of a psychopath? Scottoline weaves a fascinating thriller with a loving look at the modern “family” in all of its forms while exploring the “nature vs. nurture” debate as well as the role of science in modern society. This book is fascinating and certainly one that should not be missed! Great read!